California has a Medical Marijuana Regulation and Safety Act (MMRSA) which is comprised of three bills that aim at treating the drug as alcohol through tax and regulations. However, there are some lawmaker bills which are against it. The AB 243, AB 266, and SB 643 bills will be responsible for marijuana commercial medical cannabis cultivation, testing, transportation, distribution, manufacturing, licensing and sales. The state has up to January 2018 to set up the necessary regulations, agencies and information systems to actually begin issuing licenses and give power to the act. The new agencies are under the AB 266 (Bonta/Cooley/Jones-Sawyer/Lackey) bill, whereas most of the regulations and policies fall under the SB 643 & AB 243 bill. It is a crime to drive under the influence of marijuana which is listed under the Vehicle Code 23152(e) VC. Marijuana, in this case, falls under drugs. According to a comprehensive roadside alcohol and drug survey, done by the Pacific Institute for Research and evaluated by California highway department, 7% of drivers on the road test positive for marijuana. The nature of marijuana is that it gets stored in the fatty tissues, so you might not detect the presences of the fat-soluble element after 12 hours from time of consumption. According to the National Highway Traffic Safety (NHTSA), it is difficult to relate a person’s impairment to his or her THC blood or plasma concentration. Since the amount of THC in the bloodstream cannot be determined the arresting police officer will depend on your physical and mental abilities. Currently, there is no scientific measure that can assist the court to prove or establish the amount of marijuana you have consumed or the period of use. However, people who smoke marijuana occasionally might record positive chemical tests on THC. The prosecutor has to prove that you were driving a motor vehicle at the time you were caught under the influence of marijuana. The police officer might call for a Drug Recognition Evaluator (DRE), who is trained to identify signs of impairment, to the scene. If you are addicted to marijuana, withdrawal symptoms might make you unfit to drive. At DUI checkpoints, saliva drug swab test might be used. The ones who have a habit of smoking marijuana and drinking at the same time have the potential of recording positive chemical tests. Possession of larger amounts of marijuana is a misdemeanor ($500 fine and 6 months in jail). If you are in possession of less than 1 ounce of marijuana in your vehicle then you are liable for a maximum misdemeanor fine of $100. Minors convicted of marijuana DUI (any amount) will be charged and face a 12-month driver’s license suspension. Therefore you are guilty of DUI marijuana if there is evidence or proof that you were driving while impaired. No exception is provided for marijuana when used for medicinal purpose and arrested for violating the traffic rules. The increase of marijuana use in California has not provided any link to traffic fatalities- actually there has been a drop. Under the Implied Consent, you will still be charged for a DUI if you refuse to take chemical tests. The AB 243 (Wood) tends to control the following bodies the State Department of Public Health, the Department of Food and Agriculture, the State Water Resources Control Board, the Department of Fish and Wildlife, and the Department of Pesticide Regulation. These agencies have to come up with rules and regulations that govern cultivation and the medical marijuana standards; Marijuana has an impact on the environment in terms of cultivation which needs to be mitigated. In the same act, one will require applying for the license which comes with a renewal fee to be charged by state licensing authority. When one violates the Medical Marijuana Regulation and Safety Act he or she will be liable for certain fines and civil penalties imposed by the bill on specific violations. The AB 266 (Bonta) is responsible for enacting the Medical Marijuana Regulation and Safety Act (licensing and regulation). This bill will be under the Department of Consumer Affairs the Bureau of Medical Marijuana Regulation. The one in charge of supervising and to administering or enforce the provisions of the act will be the Director of Consumer Affairs. In addition, the movement of the commercial cannabis and cannabis products will go through a system developed by the Board of Equalization – in consultation with the Department of Food and Agriculture. The bill also imposes certain fines and civil penalties for specific violations of the act. On the other hand, the SB 643 (McGuire) bill sets the standards for prescription and require the Medical Board of California to be in charge of identifying physician and surgeon prescribing medical cannabis without a good faith examination. The board is required to discipline the ones that violate the act. This bill can impose a state-mandated local program if a new crime is created under the violation of this prohibition as a misdemeanor. This requires the doctor to do an appropriate prior examination and medical indication before prescribing, dispensing, or furnishing, or cause to be prescribed, dispensed, or furnished, dangerous drugs or dangerous devices to patients- over prescription is being discouraged. Anyone found guilty of violating section 2242.1 of the bill either get a fine or citation (issued by the board or a civil penalty) of up to $25,000 per occurrence. You will require a state license and a local permit or other authorization from licensing authorities to engaging in commercial cannabis activity. It is a misdemeanor to recommend a cannabis patient to a facility based on “financial interest”. You will be punished by going to jail for 1 year and a fine or civil penalties of $5,000. The bill requires the Bureau of Medical Marijuana to be in possession of some personal information of the applicant such as the fingerprint or criminal record – these can be obtained from the Department of Justice and the United States Federal Bureau of Investigation. The bill requires the appointment of a chief of the Bureau of Medical Marijuana Regulation by a governor, subject to confirmation by the Senate. The bill also has connections to the Department of Food and Agriculture and the State Department of Public Health in the administration of the provisions of the act. The bill will impose specified duties and authorize counties to impose tax charges on cannabis-related activities. The power of this bill extends in both the environmental and licensing departments. A “clean-up bill“, AB 1575, was introduced in the act which puts regulations on delivery services and deals with the holding of multiple licenses. The bill clarifies that cities and counties are allowed to add fees and taxes on top of state fees. Adult Use of Marijuana Act (AUMA). California also has another pending act, Adult Use of Marijuana Act (AUMA). Its initiative is to protect Californians and the environment from potential dangers. In simple words, the act will control the legal use of marijuana for those who are above the age of 21 through tax and regulations in production, manufacture, and sale of marijuana. The established law that regulates marijuana cultivation, sale, distribution and use will protect children. The annual tax revenue is expected to be as high as 15% which can generate about $1 billion annually. It aims at developing a framework for best practices which makes adults responsible for the use and impacts of Marijuana. California does not tax medical cannabis sales, so the growth in sales has made the State of California lose hundreds of millions of dollars which can benefit the state in various ways. Is proper methods are developed and adopted, then the state will gather enough funds for the community. In the MMSRA act, there are 10 types of Cultivation licenses, 2 types of Dispensary licenses, 2 types of Manufacturing licenses, a Distribution license, a Transportation license and a Testing license. With this act, manufacturers and farmers still maintain their contact with dispensaries and still set their own prices. Type 1A Cultivation Indoor Up to 5000 sq. ft. Type 1B Cultivation Mixed-light -Using exclusively artificial lighting Type 2 Cultivation Outdoor – using a combination of artificial and natural lighting Up to 5000 sq. ft. Type 2A Cultivation Indoor 5001 -10,000 sq. ft. Type 2B Cultivation Mixed-light 5001 -10,000 sq. ft. Type 3A Cultivation Indoor 10,001 – 22,000 sq. ft. Type 3B Cultivation Mixed-light 10,001 – 22,000 sq. ft. Type 6 Manufacturer 1 Products not using volatile solvents. Open container laws on Consumption or possession of marijuana or marijuana products while driving or with a passenger applies in this case. Since it is lawful to transport marijuana, you will also be liable to for arrest if you are not in possession of the right documents or license. As much as using marijuana in public is illegal then, driving while impaired is also illegal. Department of Consumer Affairs has given the Bureau of Marijuana Control the chief authority to regulate this industry. The department will be in charge of licensing transport, distribution and sale. The department of Food and Agriculture is in charge of licensing cultivation. To get a manufacturing and testing license you will get it from the Department of Public Health. The MMRSA effectively prohibiting direct farm-to-consumer sales while the AUMA does not prohibit vertical integration of licenses- except type 5 large cultivators, who may not hold distribution or testing licenses. You cannot sell at less than cost to undercut competitors, price discrimination between different locations, restraint of trade or fixing the price. The Marijuana Control Appeals Panel which is appointed by the governor and confirmed by the Senate will review the license appeals. You will be denied a license if you have a felony record related to the requirements of the business. There are no requirements that only residence of California can be owners and investors. Some local governments have banned personal cultivation, but patients will be allowed to grow their own medical marijuana provided that they do not be involved in cannabis sale, giving or donating without a license. The government limits the patients grow space to 100 square feet. 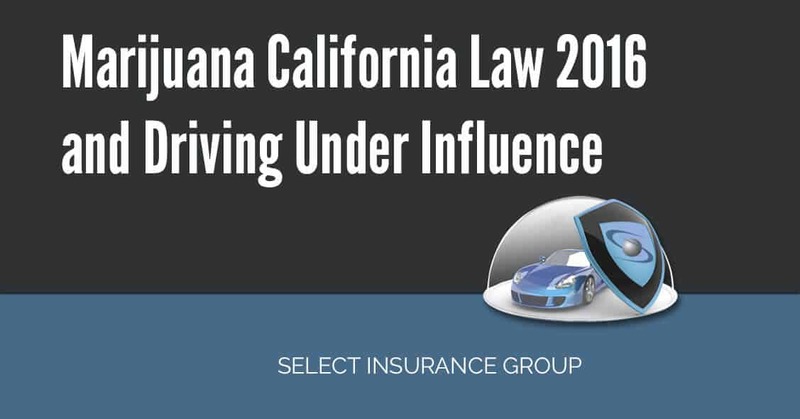 As you consult an experienced criminal defense attorney, Select Insurance Group will help you access more information about Marijuana California law 2016 – just maintain contact with our support team. The company provides SR22/FR44/SR50/SR22A Insurance for high risk drivers. Since you are interested, feel free to fill our auto quote form. Getting The Cheapest California SR22 Insurance – There are several ways to obtain cheap SR22 in California but sadly, most people do not know about this. Most people think that their present SR22 is already the best deal. Their insurer is not the only provider of SR22 insurance so when they get to say they already have the best deal, they might be totally wrong. Most people think that it would only take so much of their time when they shop around. But in our digital world, shopping for SR22 would only take a matter of minutes. You will just only be required to answer a questionnaire and submit it online. In an instant you will already be given several SR22 quotes from different insurers based on the information that you have submitted. Shopping for quotes online could really save so much of your time and effort. Do not fail to compare your quotes for SR22 once you have gathered them. You actually have a couple of options to find inexpensive rates. You may visit each website of an insurance company or go directly to and compare your quotes in this have-it-all site, an SR22 comparison website. Compare carefully all the quotes that you have gathered including your present coverage and see which insurance offers, if not the best, better deal than your present coverage. After shopping and comparing online, buy directly your preferred SR22 quote online. Buying an SR22 policy online allows you to get discounts from insurers. Hence, buying online is a great way to save not only your time but also your money as well. California DMV 1650 Waiver Packet | Guide – The 1650 waiver packet which is currently known as the 4007 form falls under the “Termination of California DMV’s Suspension Action based on Out of State Residency” application. It is very common to have visitors driving in California or California driving license holders moving to other states. However, they might not be in the right position to satisfying the terms set forth by the Department of Motor Vehicles (DMV). Which is also hard to remove the driving privileges hold. The DMV only accepts alcohol programs to be completed in California, hence accept to lose your privilege to drive in that state. Some people get arrested in California while having a license issued by another state. The police are not allowed to take this type of license in case of a DUI. But you still have to comply with the charges. What will happen is: the California DMV will suspend you from driving in its roads and this will be reported to your license state. Different states have an agreement they make with each other, the Interstate Driver’s License Compact (IDLC). This type of agreement can impose suspension or revocation of the driver’s driving privileges in the home state. These penalties might be similar to those in California or enhance these penalties and fines imposed by the California courts and DMV. This will only happen if the home state recognizes a DUI conviction or suspension the same way as California. There are cases that occur when one was moving out of California and unfortunately pleads guilty to a DUI. These are rare cases that make one wonder if it is necessary to remain in the state and complete the programs proposed by the courts or the DMV. What you need is an SR22 when you move to another state. You must be responsible and maintain the SR22 just the way you would have in California. Apart from that, you should ensure that your insurance policy covers for the California’s liability minimums- required by law. When you are allowed an out-of-state DUI Program, complete the court requirement, waiting out the suspension period and still can’t get your driver’s license privileges, then your case is special. To be on the safer side, if the court accepted an out-of-state program, make sure that the classes must be taken in California to meet DMV requirements. You are left with two options: waive your privilege to drive in California or stay in California and complete the probation. 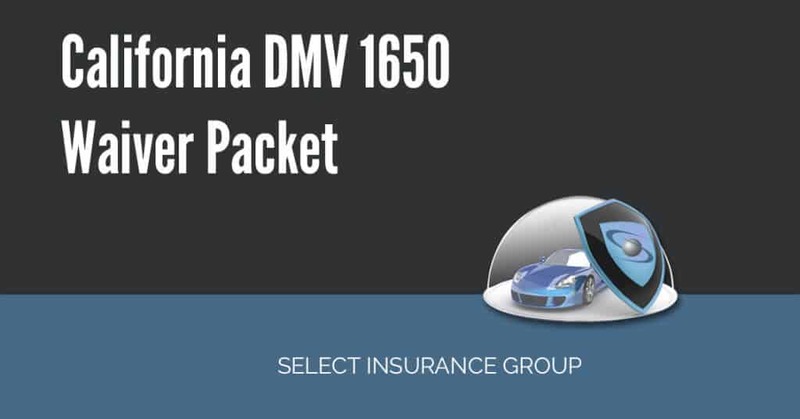 The California DMV 1650 waiver packet – is a document that allows out-of-state licensees to drive in California. It is mailed to the licensee at an out-of-state address. You will only get a California license after 3 years of filing for the waiver. You will require a utility bill or required document by the California DMV to prove that you live out-of-state. Currently, you will be given only one chance in a lifetime to qualify for the 1650 waiver. It will be allowed if you have already filed for an SR22 with the DMV. 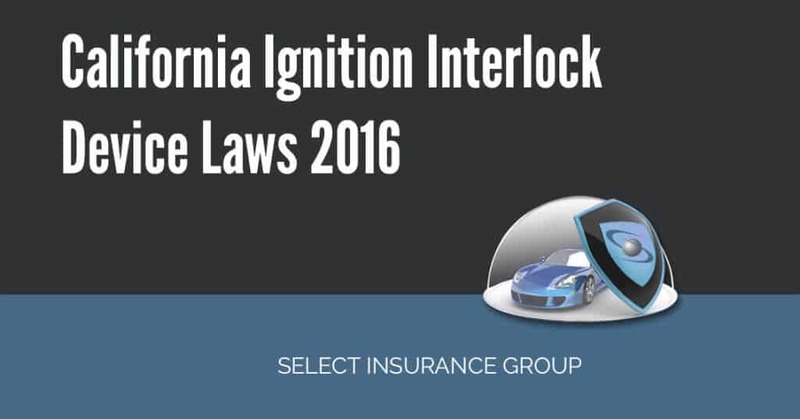 You will get your license back after 3 years and if you have completed the California DUIP class. If you are granted the 1650 waiver, then during this 3 years period you will not be allowed to obtain a California license. You can request for the application of the waiver from the Mandatory Actions Unit of the DMV in Sacramento, California. What are requirements for 1650? An SR22 (proof of financial responsibility) on file with the DMV- For the purpose of an out-of-state SR22, the 1650 Waiver includes a DL-300. When your DUI program requirement is dropped, you do not have the need of filling for an SR22. If the California DMV places a hold on your license you might not get a license when you move to another state. How to reinstate the driver’s license? To get a valid license, you will have to appear in front of a judge and get a permission to take an out of state DUI program that is approved by the California DMV. This method will help you get your license back with ease. In most cases, California DMV will not recognize an out of state or on-line DUI program- the court and DMV requirements are different. In cases like these, one may require an attorney’s advice since it involved two states. You are thus required to have DUI knowledge of the two states and also the agreement they have in relation to your case. The process needs patience since the MV Mandatory Actions Unit takes a while to respond to calls and requests. When DMV receives the forms, it will take them about 4-8 weeks to process your request for a 1650 waiver packet. We recommend that you request a packet about 1 month before your suspension period is over. The 1650 Waiver is thus important when you want to reinstate your license when you are not capable of providing the proof of completion of a DUI program. If you get a license hold in California then you will not be allowed to get a license in your new state of residence. When you are granted the California DMV 1650 waiver packet after proving that you are now a resident of a new state, then you have a made a promise that you will not drive again in California for a 3 year – period. You should note that the waiver is for the mandatory alcohol program requirement, but they have to carry an SR22 insurance obtained from California. In case you are moving back to California and you want your driving license back – then you will be required to meet the DMV requirements first. To get deep into this scenario, we may want to know the nature of the California DUI Laws and requirements. One is entitled to penalties because he or she has committed a DUI Misdemeanor. This is as a result of driving under intoxication or influence of substances. This will become a felony when the court, during the hearing, discovers that you had a criminal history during the arrest, you had a passenger under the age of 14 during the arrest, and you were involved in an accident, you were over-speeding or if it is your fourth or more prior DUI conviction. The penalties for felony and misdemeanor are different with the later getting minor punishments. For a Misdemeanor case, the blood alcohol content or BAC during your arrest will prove your innocence. California considers impairment when one records a chemical test of BAC 0.08% or higher. This amount of alcohol content is unlawful in California, especial when you are driving a vehicle. The police officer has the mandate to arrest you and take your license too. You will be aware of your constitutional rights. Then the officer might ask you some questions. The implied consent appears when you refuse to take the available chemical tests. Refraining from further violation of the California and nation laws. You’ll get to experience tough penalties. You will have to pay restitution to the victims. If this crime happens within 10 years of the 3rd offense then the law requires to serve a jail sentence of 180 days. Like the rest, person entitles to fines, assessments, penalties, and probation. 4 years of driver’s license suspension. You need to perform an 18-month alcohol education program. A community services are necessary. Your experienced DUI / DWI defense attorney may help you reduce the charges on these convictions. But a misdemeanor is rather lenient than a felony. One is allowed for the waiver for a first-time DUI offense in California. Most of the solutions have been provided on the basis of this type of violation. One may be convicted of a first-time DUI offense in California, a resident of the state, but he or she travels for work out of state or attend school out of state. The court may allow an online DUI class or out of state program but the DMV does not accept any out of state completion. One is a resident of California. First-time DUI offense. The person was in the process of moving out of the state and become a resident of another state. The person could have made the decision because of the impact of the suspension. It could make a person search for another job. The 1650 waiver packet will help this individual to lift the CA DMV hold and get a new state license. One is not a resident of California, probably a visitor, gets a first-time DUI conviction. DMV will suspend the driver’s license. It is mandatory to complete the probation programs. The court might allow this but the DMV will still insist on completing the classes in California. In this case, the 1650 Waiver can save the situation. In all the scenarios one can conclude that it will be hard to convince the DMV on the issue of completing the AB 541 Program from outside the state. The AB 541 is 3-month first-offender DUI Program which may cost you a fee of $480.00. The cost for the programs may range from $200 to $3000 depending on your type of violation and court order. AB762 DUI Program 45 hrs. SB1176 Wet Reckless DUI Program 12 hrs. With all said and done, Select Insurance Group is your partner when you need assistance in obtaining an SR22 insurance. Need it in California? Just fill out our short quote form. We can find the best coverage to help you reinstate your license with ease. 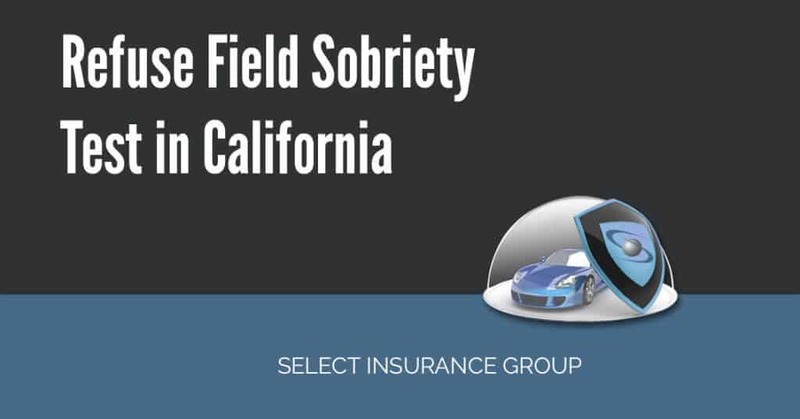 Refuse Field Sobriety Test in California – Like other states, California has an implied consent law. The law takes to effect the moment you obtain a driver’s license. It will come to haunt you when you drive under the influence (DUI) in California. The law states that when you are pulled over and arrested by an officer for committing DUI, you consent to take a chemical test (blood, urine or breath- depending on the one that is available or applicable).